This Lightweight tunic is collarless with lace up neck and sleeves, contrasting colour neck line and cuffs with dark grey and black, the material is soft but hard wearing and breath through, can be wear as under layer or on it's own, extremely versatile, suitable for all systems. It's a "Must" have in Larp or re-enactment. This Lightweight tunic is collarless with lace up neck and sleeves, contrasting colour neck line and cuffs with light grey and mid grey, the material is soft but hard wearing and breath through, can be wear as under layer or on it's own, extremely versatile, suitable for all systems. It's a "Must" have in Larp or re-enactment. This Lightweight tunic is collarless with lace up neck and sleeves, contrasting colour neck line and cuffs with dark brown and light brown, the material is soft but hard wearing and breath through, can be wear as under layer or on it's own, extremely versatile, suitable for all systems. It's a "Must" have in Larp or re-enactment. This Medieval-Viking style tunic is a very good base layer or a layer on its own, Suitable for under chainmail and armour, made in a lightweight wool and cotton mixture, the material is soft but hard wearing and breathable, extremely versatile, suitable for all systems. It's a "Must" have in Larp or re-enactment. 41" inches length from collar, up to 52" inches chest, 48" inches waist. This hooded shirt featuring square wooden buttons at the neck and cuffs is perfect for any setting. Suitable as an extra layer and useful for covering the head and neck against the sun, a must for your LARP wardrobe. Chest up to 52" inches, Collar up to 30" inches (fastened), Sleeve 31"inches. A stylish tunic with ¾ length sleeves perfect for warmer weather. Made in a lightweight linen and cotton mixture. This tunic features decorative trim at the neck, sleeves and across the chest, closes with three square wooden buttons. 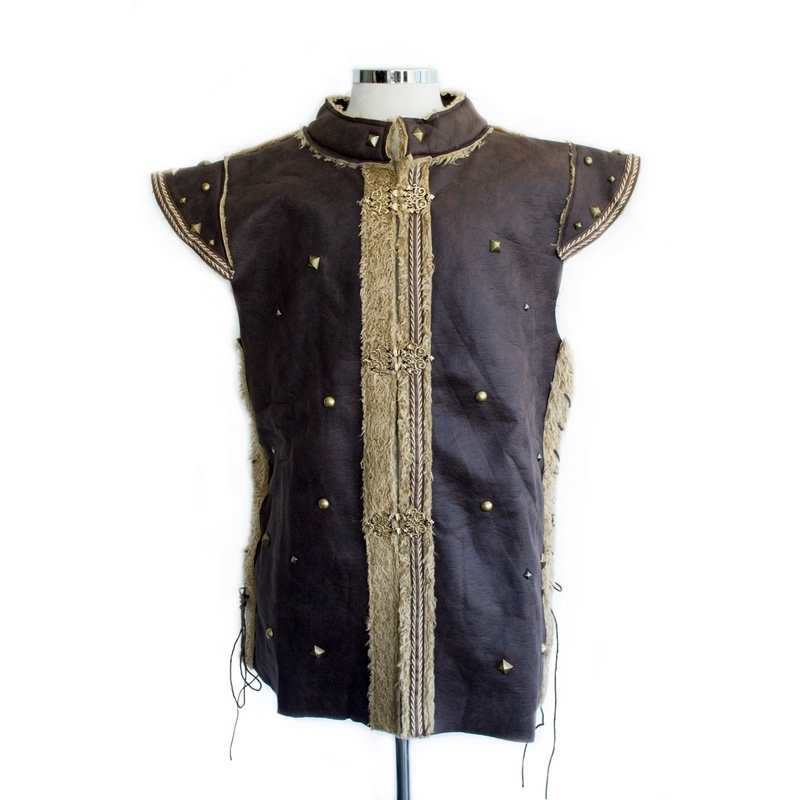 Versatile without being too plain, this is a staple LARP garment. Chest up to 50 inches, Collar up to 22 inches (fastened), Sleeve 18.5 inches.